Making a one bedroom apartment in the Inner City of Sydney warm & personalised was the key ingredient to this recent makeover. The clients original feminine artwork was the projects muse. The lines of the female forms in the canvas directed much of the colour & texture decision throughout the apartment. 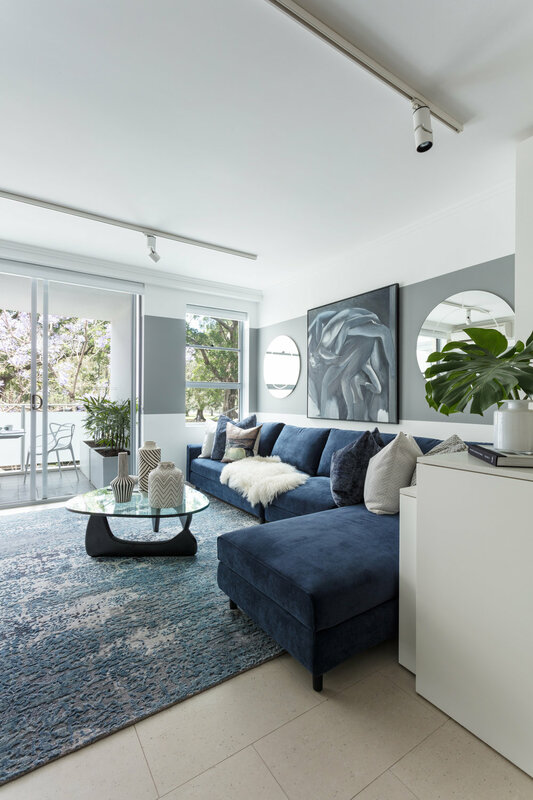 With the use of a subtle colour blend of blues, whites & metallic highlights, the apartment exudes a cool and comfortable warmth in the midst of the inner city heartbeat.